Dan Kavouras is a litigator concentrating on complex commercial disputes and class action defense. Dan has experience litigating a wide range of legal issues, including commercial contracts, UCC claims, intellectual property and trade secrets, energy and environmental issues, and First Amendment law. 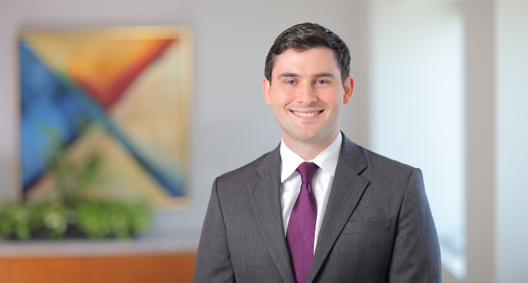 In addition to his litigation practice, Dan is an active contributor to the firm's North America Shale blog, offering commentary on a range of issues facing the energy industry as companies intensify their use of hydraulic fracturing and other advanced extraction techniques. Represented a large healthcare system in a preliminary injunction action against a joint venture partner. Secured a preliminary injunction restoring the client's ownership and voting rights in the hospital joint venture. Represented an insurance client in a multidistrict nationwide class action asserting antitrust and unfair competition claims. Court dismissed the claims on a Rule 12 motion. Assisted a large audio-visual equipment distributor in obtaining a preliminary injunction against a competitor for trademark and trade secret violations. On behalf of two national title insurers, challenged Cuyahoga County's interpretation of the cost provision in Ohio's Public Records Act in a mandamus action before the Ohio Supreme Court. Participated in drafting merits briefs, which resulted in a unanimous victory for the clients. Drafted an amicus brief supporting the dismissal of a competitor's challenge to the Environment Protection Agency's (EPA's) decision to grant a client steel producer a Clean Air Act permit to operate a new production facility, and simultaneously defended a competitor's appeal of Clean Air Act permits before the Arkansas Department of Environmental Quality and an Arkansas court of appeals. Defended a Fortune 1000 company in related state and federal shareholder derivative actions seeking to prevent a proposed going-private transaction. Obtained dismissal of one action and negotiated a settlement, allowing the transaction to proceed. Defended a gasoline distributor in a putative class action alleging overpayment of a state commercial activity tax by supply customers. Obtained a defense verdict in a trade secret misappropriation case for a commercial welding company. Drafted opposition to a United States Patent and Trademark Office (USPTO) action refusing a client's trademark registration under the Lanham Act, resulting in the removal of the USPTO's objections, allowing the client to proceed with registration. As lead counsel for a regional newspaper, successfully argued a motion seeking access to juvenile court records. As part of a trial team for a local television station, obtained a directed defense verdict on libel claims after a one-week jury trial. Analyzed emissions reporting requirements under existing Ohio EPA permits for a manufacturing client and drafted disclosure forms. Prepared lease disclosures and drafted asbestos, mold and lead-based paint policies for employees and tenants of a large property development client with properties in Ohio and Illinois.